The market for direct-to-consumer brain health products—including brain-training games, neurostimulation devices, and consumer electroencephalography (EEG) devices—is expected to top $3 billion by 2020. While many direct-to-consumer neurotechnology products have come under scrutiny from scientists and regulators, one set of products—consumer EEG devices—have largely escaped scholarly and regulatory critique. While these products do not present overt safety risks, by claiming to provide individuals with “snapshots” of their own mental states, they present a subtle, and arguably more complex, set of ethical issues. In addition, consumer EEG companies often explicitly or implicitly rely on studies conducted in the field of neurofeedback, a domain in which almost all adequately controlled studies point to little more than an interesting placebo effect. 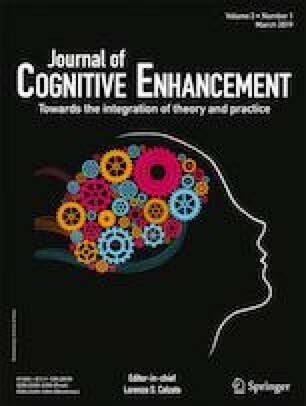 This paper presents an initial critique of consumer EEG devices, focusing only on devices that are marketed directly to consumers for improving their well-being. We categorize the behavioral and wellness-related marketing claims made by consumer EEG companies, analyze the evidence base for such claims, and argue that the ethical and legal issues wrought by these devices deserve greater attention. The online version of this article ( https://doi.org/10.1007/s41465-018-0091-2) contains supplementary material, which is available to authorized users. Armanfard, N., Komeili, M., Reilly, J.P., Pino, L. (2016). Vigilance lapse identification using sparse EEG electrode arrays. Canadian Conference on Electrical and Computer Engineering 2016-October, 1–4. doi: https://doi.org/10.1109/CCECE.2016.7726846. Boser, U., (2017). Betsy DeVos has invested millions in this “brain training” company. So I checked it out. Washington Post. https://www.washingtonpost.com/posteverything/wp/2017/05/26/betsy-devos-neurocore/. Fink, S., Eder, S., Goldstein, M., (2017). Betsy DeVos invests in a therapy under scrutiny. New York Times. https://www.nytimes.com/2017/01/30/us/politics/betsy-devos-neurocore-brain-centers.html. FTC. (2016). Lumosity to pay $2 million to settle FTC deceptive advertising charges for its “Brain Training” Program. URL https://www.ftc.gov/news-events/press-releases/2016/01/lumosity-pay-2-million-settle-ftc-deceptive-advertising-charges (Accessed May 3 2016). FTC. (2015). Makers of jungle rangers computer game for kids settle FTC charges that they deceived consumers with baseless “brain training” claims. URL https://www.ftc.gov/news-events/press-releases/2015/01/makers-jungle-rangers-computer-game-kids-settle-ftc-charges-they (Accessed September 19 2017). Hashemi, A., Pino, L.J., Moffat, G., Mathewson, K.J., Aimone, C., Bennett, P.J., Schmidt, L.A., Sekuler, A.B., (2016). Characterizing population EEG dynamics throughout adulthood. eNeuro 3. doi: https://doi.org/10.1523/ENEURO.0275-16.2016. Roy, Y., (2017). EEG & BCI crowdfunding landscape. URL https://medium.com/neurotechx/eeg-bci-crowdfunding-landscape-cfdb0da08937 (Accessed May 26 2018). SharpBrains. (2018). Market Report on Pervasive Neurotechnology: a groundbreaking analysis of 10,000+ patent filings transforming medicine, health, entertainment and business. https://sharpbrains.com/pervasive-neurotechnology/.